Trench supervisors (from left) Amanda Chain, Clivia Zois, Kathryn McBride, and Emily Graff divy up excavation equipment while others watch on from the porch of the Ano Karyes cultural center — the structure soon to become the project’s laboratory. 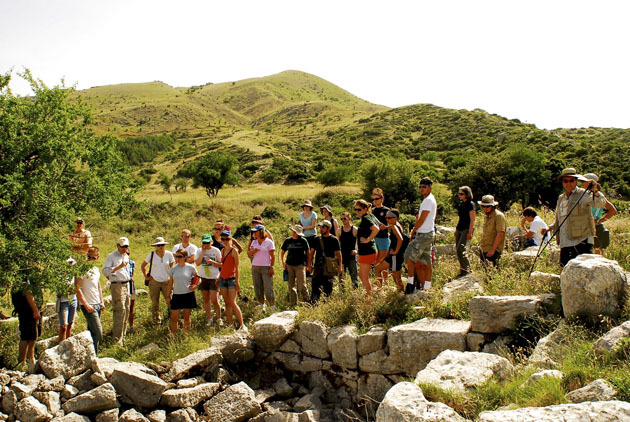 Co-director David Gilman Romano introduces the group to the bathhouse on the afternoon site tour Wednesday, June 16th. This entry was posted in Field Season 2010, Uncategorized and tagged bathhouse, laboratory, mt. 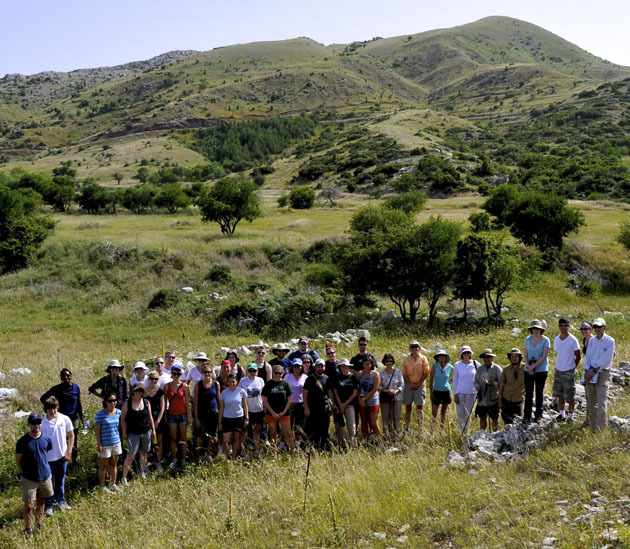 lykaion, orientation, site, tour. Bookmark the permalink.